On December 23rd, Shinhwa's Kim Dong Wan revealed his new duet single called 'He_Starlight' featuring actress Jeon So Min. 'He_Starlight' is a new arrangement of his previous track 'He_Sunshine' released in November. The song was written by team WATT and BRANDNEWJIQ and featured a beautiful harmony of Jeon So Min and Kim Dong Wan. Actress Jeon So Min became popular after dramas 'Priness Aurora' and 'Endless Love' and has been showing a huge interest in music. The ballad song is expected to warm people's heart in cold winter. 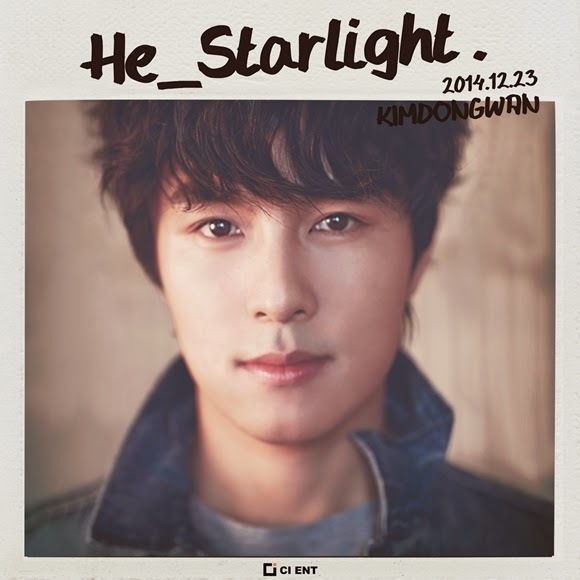 Meanwhile, Kim Dong Wan is going to hold a solo concert called 'Starlight' in Seoul on December 31st.